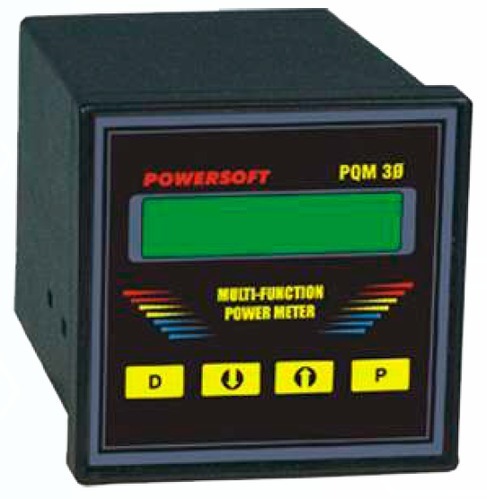 Accurate three-phase power measurement using state of the art energy measurement chips. Voltages and current measured using in-built transducers. Power measurement chip features high accuracy and conforms to IEC 61036 and IEC 61268 standards. Easy calibration of an instrument using front keys. RS485 models ensure remote monitoring and calibration. Scalable voltage / current input. PC Datalogger software logs all parameters. Reports of historical data and trends. Multicolor graphs, real-time graphs for all variables. Automatic update of reports to the internet. We, Gsv Microtech, established our operations in the year 1999, as one of the distinguished manufacturers, suppliers and exporters of a gigantic range of Flow Indicators and Controllers. Our product compilation encompasses Process Indicator, Channel Data Scanner and Ultrasonic Transmitter that are manufactured in adherence to the predefine industry standards and norms, to maintain the quality standards. Designed with the help of advance & modern technology, the proffered selection is extensively popular among our prestigious customers. In these years, our company has earned the dependence of its valuable patrons. Backed by a team of sincere and experienced professionals, our company is capable of fulfilling the diversified requirements of the customers. Furthermore, one of the biggest reasons of our success is our spacious infrastructure facility that is set up with multiple machines and tools, based on advance technology. In the coming years, we wish to maintain the position that our company has earned in the field. We have been able cater a huge clientele across the global market.